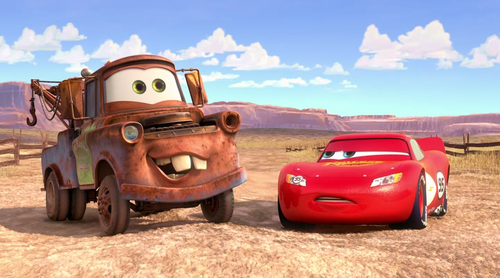 Mater & McQueen. . Wallpaper and background images in the Disney Pixar Cars 2 club tagged: best friends. 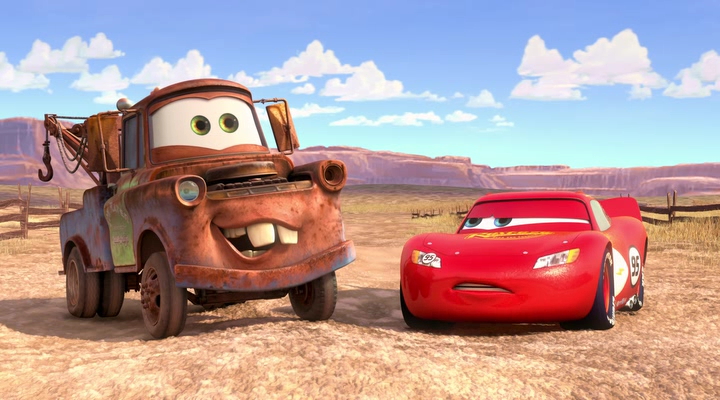 Looks like Mr. Mater has lost his mind once more. LMAO! I wonder what he's thinking about?